Download 'Everything you wanted to know about Giant Hogweed but were too afraid to ask' now! You'll be able to immediately download this free guide plus receive information about our forthcoming free eBooks. We respect your privacy and will not to loan, rent, sell, or share your contact information with anyone, ever. Accurately identifying an invasive weed without any prior knowledge can be tricky for the lesser green fingered amongst us, especially when there is a health risk involved. 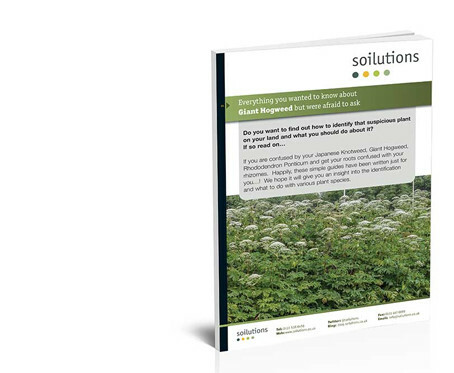 This free guide will help educate	identify, treat and address the dangers of Giant Hogweed. Download it now for free! It’ll also give you valuable knowledge to take in to your next client meeting, prepare you for a development project, identify that suspicious plant in your garden, or simply allow you to impress your boss. Share the news about this eBook!